1. Who produces the Festival? 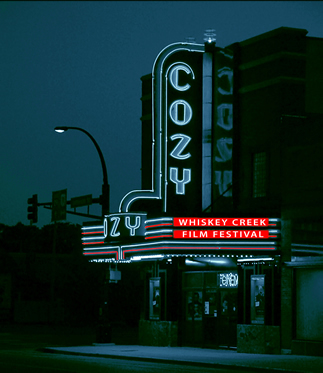 The Whiskey Creek Film Festival is produced by the Whiskey Creek Film Festival Committee. Local sponsors, including 5 Wings Arts Council and the Wadena Convention and Visitors Bureau, help support the Festival. All sponsors are recognized on the sponsor page; click on the “sponsor” menu at the bottom of the page to visit links to businesses and organizations that make the Festival happen. The 2018 Festival has a simple rule: screening critically recognized films in current theatrical release not usually shown in theaters in rural Minnesota. Special thanks to the Cozy Theatre and 3rd-generation owner Dave Quincer for making the Cozy available one week each September for the Festival. And a special thank you to all the Cozy staff who have a key role in the success of this annual film celebration. Visit the Cozy website by clicking on the Cozy name or the photograph of the Cozy above. Our business and individual sponsors make this Festival possible. If you have a chance please tell our sponsors you appreciate their support of Whiskey Creek Film Festival. They, along with our patrons, bring the Festival to life each September. During the week of September 14-20 six films-all in current theatrical release-will be screened at the Cozy Theatre. Click the link “Best in Current Cinema” for detailed information, critical commentary, rating information, and links to film trailers. 5. Films from and about Minnesota and the region – we try to include at least one film filmed in or near Minnesota. This year there are two: The Rider and Farmer of the Year. 6. Special free film for families – each year we offer a quality film screened at no charge to anyone for families to enjoy together. This year that film, screened at 4:30pm on Friday, and 1:30pm on Saturday and Sunday, is Alpha. Click on the headline above for the details about getting your ticket in person at any of 5 outlets in the area or, if you live at a distance, you can buy your tickets on-line.